One of my co-workers laments that he’d like to get out on his jetski more often, so I suggested we try to get out once a week to one of the lakes within an hour’s drive. We’ve been talking about this since last summer. Since June and July have the longest days, now is the time to act. Today was our first attempt and it worked out nicely. We headed down to Pueblo Reservoir in Pueblo Colorado which is about an hour drive from work. I pulled his jetski on a trailer behind my truck and loaded my sea kayak on top of the truck. Pueblo reservoir has two marinas and we put in at the north marina. As we’re getting into the prime paddling season in Colorado it’s helpful to have an idea how much snow pack there is and therefore the upcoming melt-off/run-off we’ll have for flowing rivers and filling reservoirs. Some rivers, like the Yampa, don’t have reservoirs in Colorado which means there is a very specific time to float the river. The water is unregulated so, later in the season, it may not be very floatable. But, it all depends on the amount of snow in mountains. Colorado has quite a bit of snow in the northern half of the state, but the southern half, well . . . not so much. Check out the Colorado Snow Survey and Water Supply report at the Natural Resources Conservation Service (NRCS) for Colorado. It’s a pretty handy site. Click on the latest month and scroll to the bottom of the press release to see the, percent median snowpack, percent last year’s snowpack, percent average reservoir storage and Last year’s percent average reservoir storage. So, putting this in perspective, our paddle last Saturday at Rampart Reservoir showed the water at only 3 feet or so below what appears to be the high water mark on the boulders. And, though the water comes from near Buena Vista, there is still plenty of snow in those mountains as well as on Pike’s Peak, as you can see in the photos. Don’t let the weather . . .
Don’t the let the weather run your life. Or, so the saying goes. Sometimes I forget this and don’t do things because the weather forecast says it’s going to rain, or I look outside and it looks cloudy and not even close to ideal. 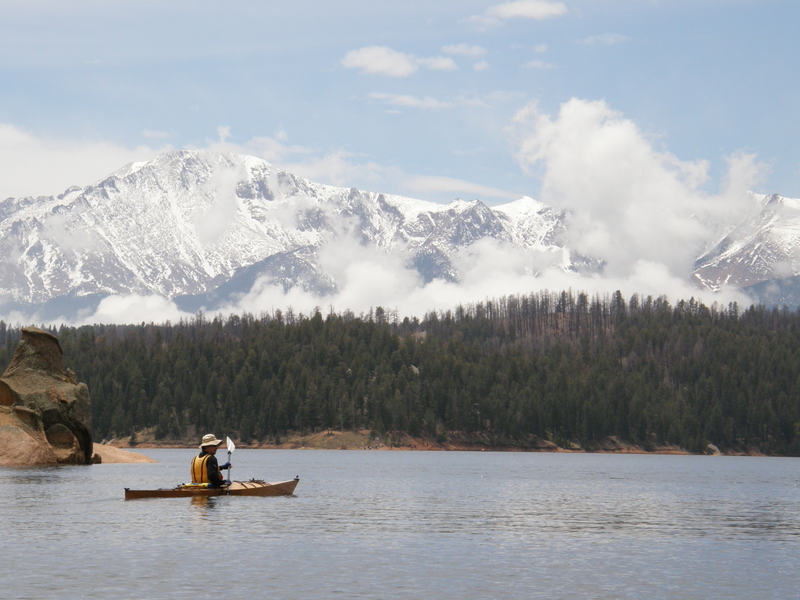 Earlier in the week we decided to go for a paddle on Rampart Reservoir on Saturday, but the forecast was rain and the skies were cloudy on Saturday morning. 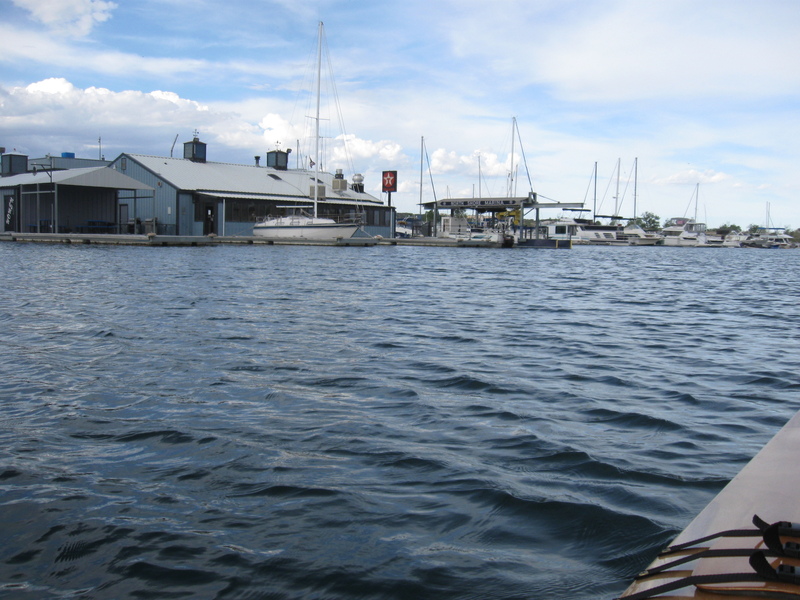 I wasn’t feeling like I wanted to go, but I hoped that if I just got to loading the boats my attitude would change. And, it worked. Also, knowing that the weatherman isn’t always correct, we decided to give it a try anyway. When we arrived were rewarded with mild temps and light breezes. Once out on the lake we paddled past some friends in a motor boat who were returning from a morning of fishing. Now, for something completely different. Heck, I don’t even have a category for this one. I don’t typically post about auto repairs, but my post about my Coleman backpacking stove repair draws some unexpected interest, so I thought others may find this helpful. 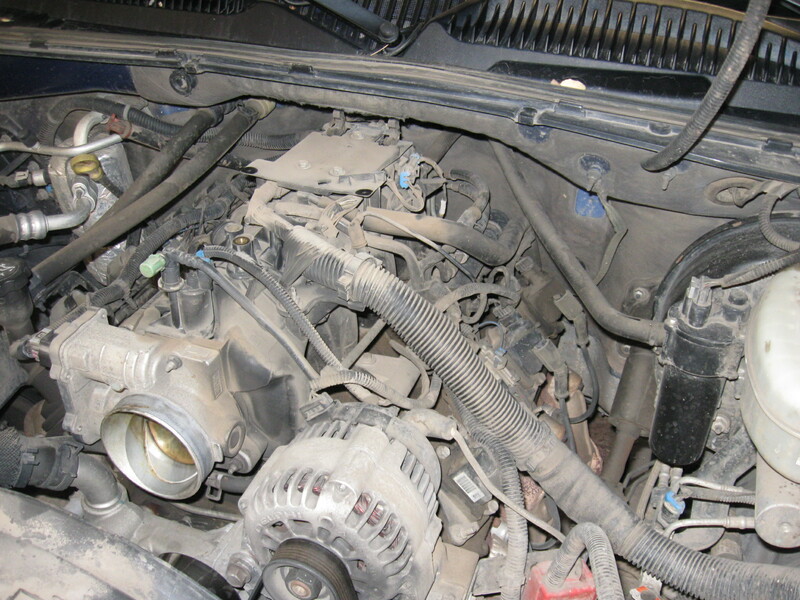 My 11 year old Chevy Avalanche, with the 5.3L engine and 158,000 miles was having trouble running smoothly after a start in cold weather. I did some research online and there were several opinions. Maybe it was the throttle position sensor or mass airflow sensor and I think a few other suggestions. Then, I read a post by someone who described some symptoms which matched, in more detail, my symptoms. The truck started fine and idled high, as expected for about 15 seconds, then it sputtered and knocked . . . sounded like it was either going to throw a rod or just die out altogether. After about a minute or so of this torture (I never timed it) it just smoothed out and ran perfectly.